After the success of Coup Fatal, which was inspired by Congolese dandies, collaborators Alain Platel and Fabrizio Cassol join forces once again in a work inspired by Mozart’s unfinished Requiem. 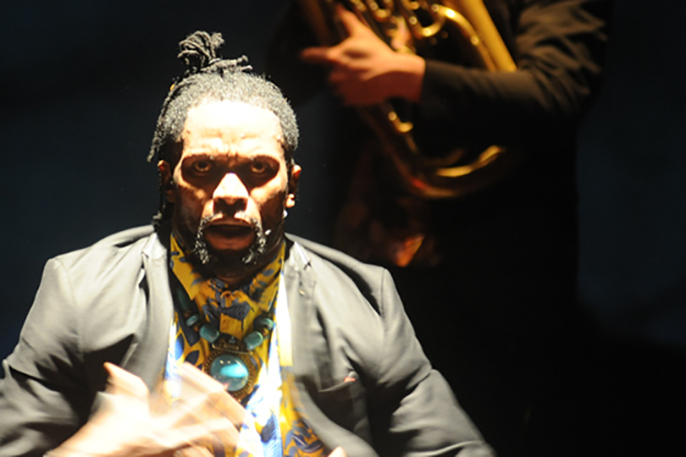 With 14 musicians and singers from across the world, including DR Congo, South Africa and Belgium, and many from Coup Fatal, composer Cassol reworks Requiem using diverse musical influences, including popular African music, jazz and opera. The result is an uplifting new version that keeps enough of the original essence that it still sounds familiar. Using by the music, mortality, the requiem mass and the mass grave into which Mozart was dumped, trailblazing director Platel creates a visual world of death through movement and recorded film footage of a dying woman’s last day. Inspired by the cultures of the performers, Requiem pour L. creates a new ceremony of mourning alongside a moving and musical celebration of life.